If you’re reading this, you know Bang & Olufsen. They have reached legendary, almost holy status in the design industry. Very few brands that are able to reach this Godly status in electronics - Apple, Leica, B&O. That's about it. B&O is highlighted by premium materials, timeless design, and of course, their high price-tag. The H6 has been sent by B&O but this has had no effect on the review. The last headphones (excluding earphones) they produced were the Form 2s, which were launched in 1985. That's 28 years. You can see why these, the BeoPlay H6 are such a big deal. Does B&O still have what it takes, or have they forgotten the art of high-end headphones? We'll see. I’ve been listening to these headphones for a minimum of 6 hours a day. I don’t think I’ve been this fascinated, confused and thoughtful about doing a headphone review. They're a hard product to just use for a week and write a rushed review on. These are smart and require lots of attention for proper assessment. The H6 is like beautifully complex essay, if your ears aren’t ready, you simply won’t be able to appreciate whats offered here. Let me elaborate. Keep that quote in mind. Before we talk about sound though, let's do a typical MM-style hardware assessment. First, the packaging. Simple, clean, and fuss free. I like the surprise of the baby-blue when you open the box. Before we go on much further, we must address the fact that these headphones are $400. That's $100 more than headphones like the Bowers & Wilkins P5. Most headphones that cost this much have wireless functionality but not these; they're simple, wired headphones that cost $400. Better be flawless then. 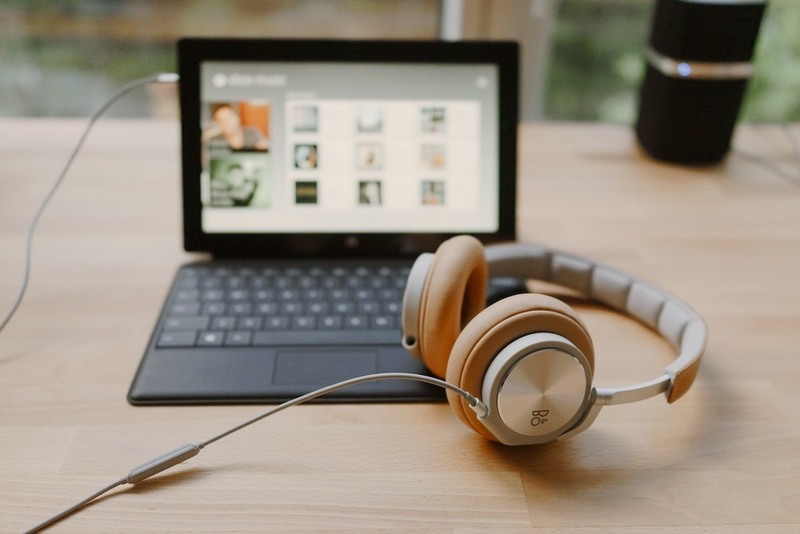 I instantly fell in love with the H6 when I saw them on B&O’s website. They’re beautifully designed with just the right balance of classical and modern design influences. Hopefully they'll stand the test of time as well as their classics. I’m also impressed by B&O’s new color pallets, particularly this light tan combo. However, a closer examination reveals that they’re not perfect. Maybe this is why you don't meet your heroes. The biggest problem is that the grey housing surrounding the speaker is made of plastic. I’m perfectly fine with plastic being used in premium products (Nokia and Apple are great at this) but the material they've chosen feels surprisingly cheap. I’m sure the premium price-tag would have allowed for a bead-blasted aluminum part so I feel a bit underwhelmed. Thankfully, everything surrounding the plastic shell is top notch. The arm is a solid piece of metal and all of the hinges have tight tolerances. The retractable arms are dampened masterfully and have just the right amount of resistance. 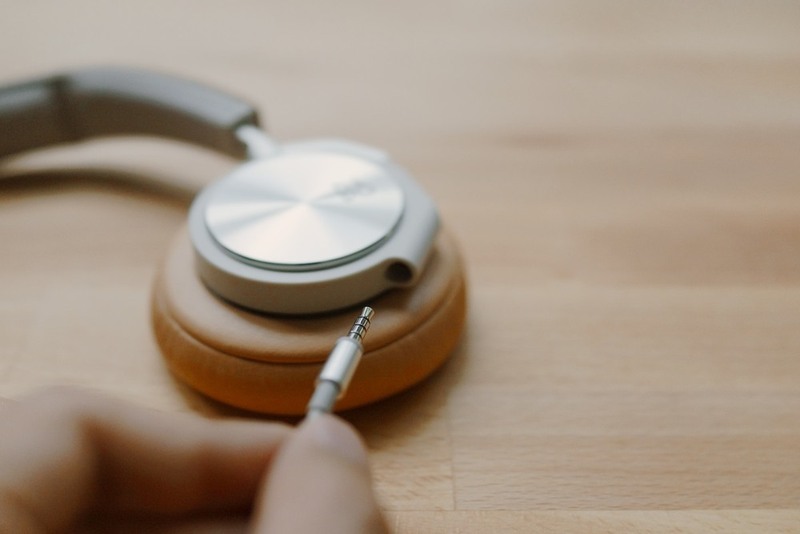 One of my favorite features of the H6 is the detachable audio cable. 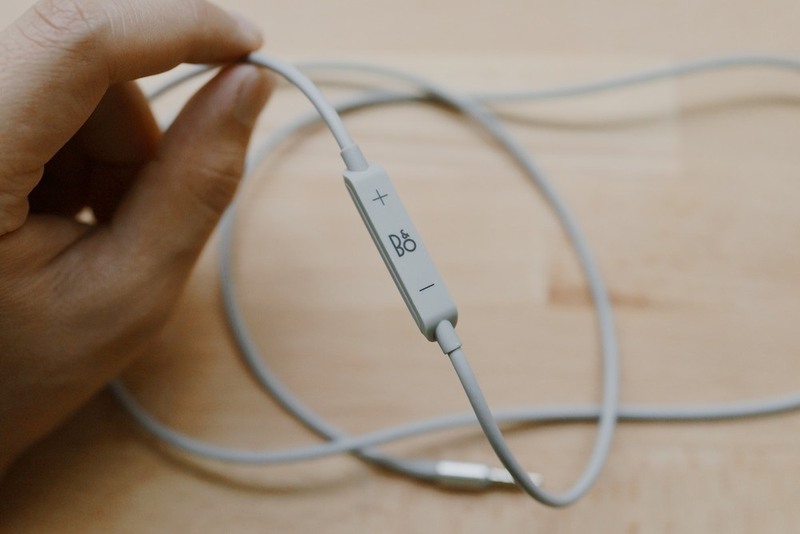 B&O has placed 3.5mm jacks on both speakers, letting you pick where you want the cable. Awesome. Things get only better because these jacks are universal, allowing you to connect any standard audio cable. I wish more headphones did this, the cable is always the first point of failure for me. 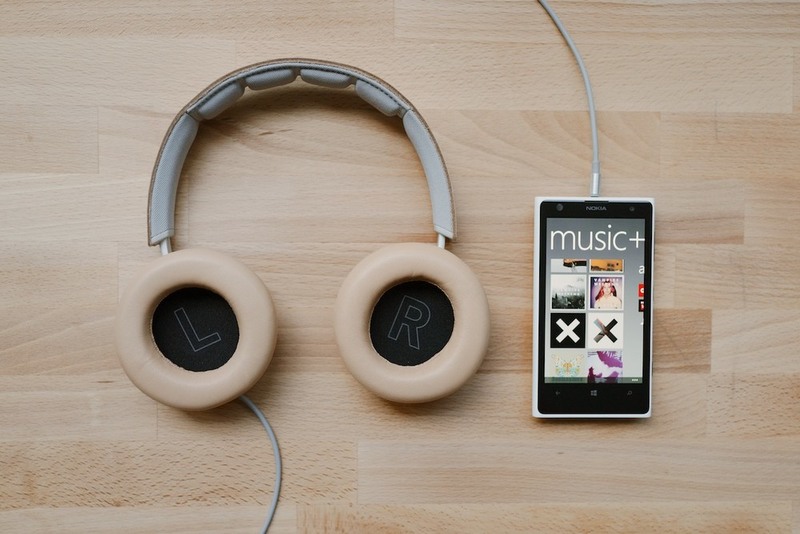 The dual jacks even let you daisy-chain headphones and share music. Brilliant. While the dual-connector design is brilliant, the cable provided by B&O isn’t. More specifically, the connector is the point of concern. It’s nicely finished in brushed aluminum but uses a straight design, which puts on a lot of strain when your phone is in your pocket. I was able to observe that nasty bulge on the strain-relief only after a few days of use (not unlike Apple’s headphones). I don't know why so many companies refuse to use L-shaped connectors. The remote control also leaves something to be desired. It functions fine but it once again, feels far to cheap to belong on such an expensive product. The remote on my Sony MDR-1R’s feel nicer, and there’s something not right about that. Before we go on to saying nice things, I must mention one last issue. The carrying case is perfectly serviceable and has a solid metal drawstring lock that feels expensive. However, the string actually broke on day one, leaving my case useless. I’d be seriously upset if I had actually purchased them. When you look past some of the quality quirks, you can begin appreciating the fine details of the headphones. 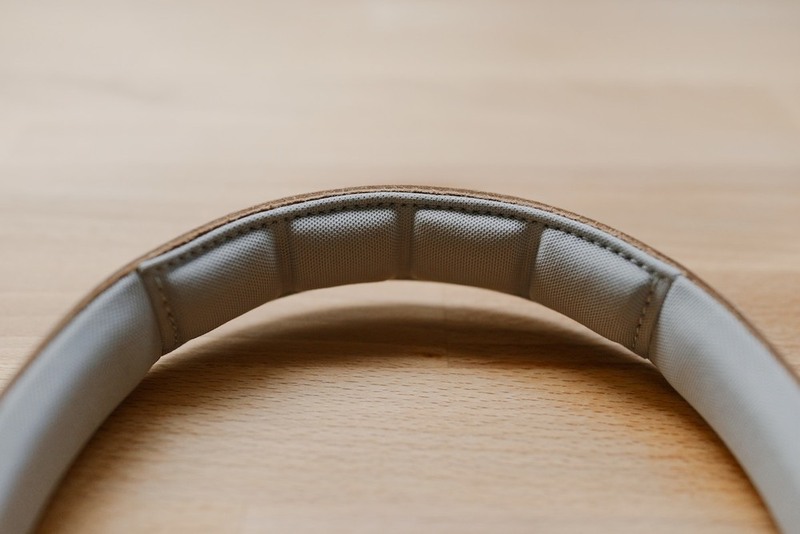 The headband is made of cow hide and stitched on to a padded fabric cushion. The tan leather looks a bit too light in person so I’m looking forward to seeing how it'll patina. The H6s have beautiful sheep’s skin earpads that hug your ears elegantly. The earpads have lots of give and mold around your head in the most supple way. 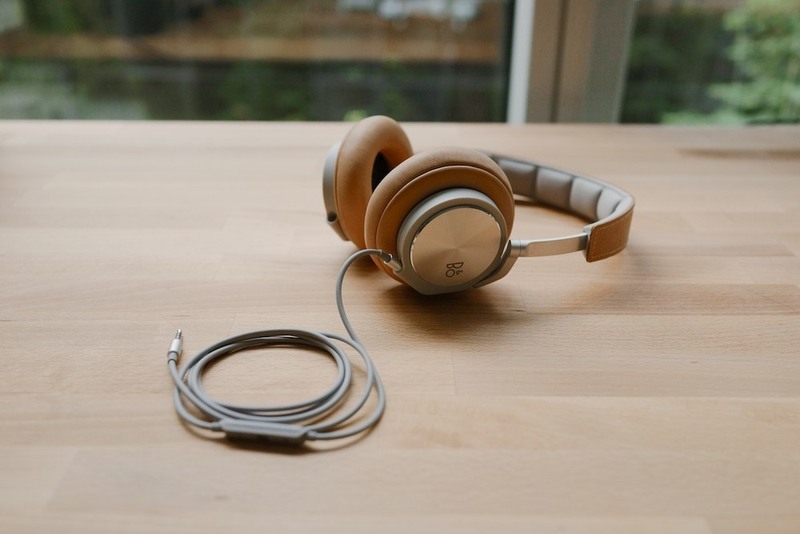 These fit me brilliantly but headphones are a bit tricky like shoes - try them before you buy. Sound isolation from the cups are good but these aren’t intended to be noise canceling headphones. They’re enough to completely remove noise in an office environment but run a tiny bit short in a crowded cafe. This is the perfect balance for me, I feel claustrophobic when I can’t hear anything. Comfort is where these headphones really shine. I love the Bowers & Wilkins P5/P3 but had to return both because they hurt my ears after a few hours (they squeezed my ears against my glasses). It's surprisingly how comfortable they are for having a reasonable amount of clamping force. They're also incredibly light and disappear when you wear them around you neck. I've often found myself walking around for hours with the headphones because I'd forgot about them. Now, the sound. In general, the headphones have a very flat profile and would be ideal in a studio setup. Balance and detail are they’re strength. The H6 sound really great midrange up, with plenty of definition and sparkling highs. 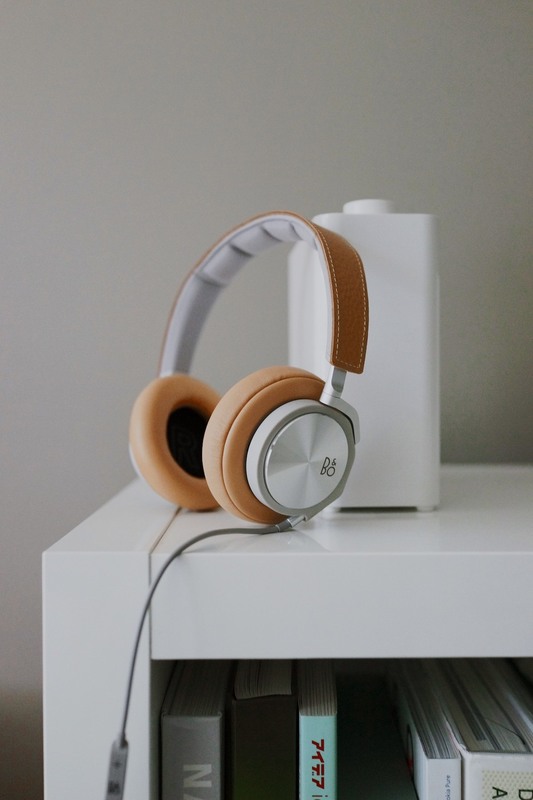 There’s nothing between you and your audio file these are simply transparent. The first thing you’ll notice is that they have a sound stage phenomenal for closed headphones. I have NEVER used headphones with a sound stage this expansive and convincing. I guess decades of experience helps. Things become a bit interesting when you begin dissecting the bass. Once again, accuracy seems to be the center of attention here. It’s nicely textured and reveals all sorts of subtle details that many headphone would fail to. My only concern is that the bass is almost too frail. It’s warm and smooth but lacks that extra “punch” some other competitors like the Bowers & Wilkins P5 provides. But when you go back to the quote from the B&O representative, you can see why these headphones were designed to be so flat and neutral. B&O clearly wanted to create something as accurate as possible - a precise Danish tool for dissecting music and enjoying every nuance and crevasse. The H6 is a surgeon - warm, flawless and effortless at his job but certainly not emotional. My beloved Sony MDR-1R aren’t as precise as the H6 but have a more emotional, punchy sound. It’s really a matter of principles though. I applaud B&O for creating something with a sound so accurate in a world of hunger for bass-biased headphones. But this is worth questioning though - so much of the music people listen to is dependent on strong bass response. It’s a dilemma, is this approach becoming increasingly outdated, or will music always need the same equipment to enjoy? During my initial testing, I had listened to the H6 in a vacuum. I then began comparing its sound to other headphones I had on hand - the Bowers & Wilkins P5 and Sony MDR-1R. These headphones all have their own distinctive character. The B&O H6 is like a Porsche Cayman. Precise, transparent and communicative. The P5 is like a Mercedes AMG product. Powerful, emotional and makes a brilliant roar. Lastly, the Sony is like an Audi S product. Perfectly capable, powerful, but a bit forgettable. 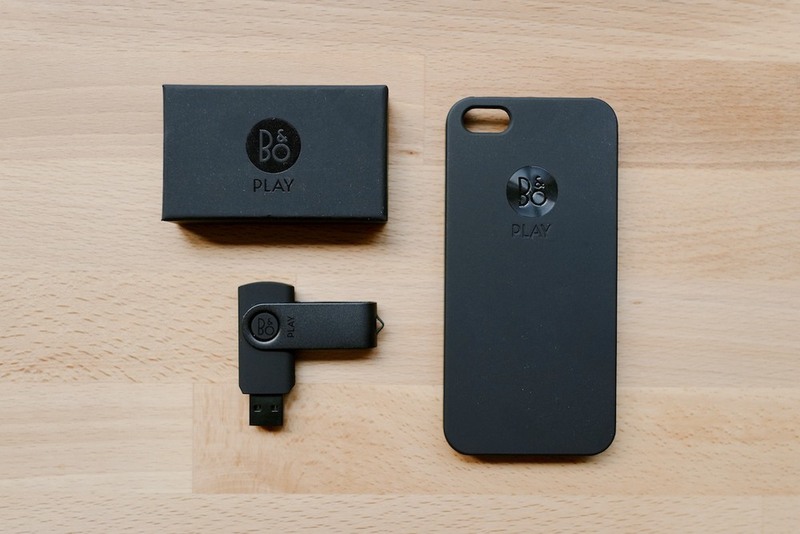 So how are the BeoPlay H6? Should you buy one? Well, that’s a hard question to answer. The hardware is beautiful but has a few elements that leaves a bit to be desired. In terms of sound, they're like a precision tool for professionals. After a week of use, I had concluded that the H6 lacked too much emotion. Now, I think this lack of emotion is precisely why it’s such an emotional product. The H6 is a bit of a maverick. It’ll trick you into thinking that they’re casual, fashion oriented headphones that pack a punch. Once you start listening to your music though, you’ll see things that were hidden by other headphones. You’ll realize how much crap you’ve been listening to. Garbage in, garbage out. The B&O H6 will change your perspective, and that’s something very few products can do. It took me a long time to understand if I actually liked these more than the Bowers & Wilkins P5 and Sony MDR-1R, both of which are $100 more affordable. The answer is "yes" now. However, B&O needs to seriously address a couple of hardware issues. A case that falls apart is unacceptable at this price.